This infamous sea wall lies on the eastern coast of India, surrounding the historic French colony of Pondicherry. 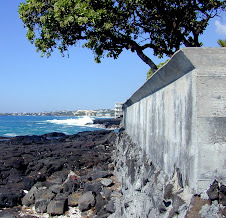 In December of 2004, a huge tsunami hit this area, a nd it is due only to this three-century-old sea wall that the city was not destroyed. Since it was built, the government has routinely fortified the barrier with boulders - at some points, the wall reaches 27 feet above sea level. When the huge waves arrived in 2004, the maintenance paid off, since of the 600 deaths recorded, only a very few were people who lived in areas protected by the wall. Why Build a Sea Wall? What is a Sea Wall? The Gold Coast Sea Wall is among the most expensive in the world. Construction began after surrounding areas were devastated by eleven cyclones during the year 1967. 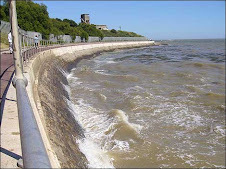 At its widest points, the sea wall is 16 meter wide and 6 meters tall. The boulders used to construct the foundation layer weigh up to four tons. It has been estimated to have cost around $3,000 per meter to construct. I am currently a freshman at the University of Florida, majoring in civil engineering.